All healing stems from the self. It is impossible for someone else to heal you – all a ‘healer’ can do is to take you to a point that allows your own body-mind to heal itself. For a large chunk of my life I forgot this simple truth as I got lost in the busyness of earning a living and trying to provide for my family. It was only in my mid 50’s, when I became aware of a rather fast decline in my body systems, that I started to remember the importance of taking personal responsibility for the state of our health. Nearly 30 years of teaching martial arts professionally had taken its toll on my joints and I had developed other nagging conditions that required increasingly frequent visits to the doctors. Medications were prescribed for blood pressure and stomach acid and it looked as though I might need an inhaler for asthma too. The prospect of this regime increasing as I aged was far from appealing. My own Sensei was far more than merely a teacher of punches and kicks. He was a healer and guide who taught his students to expand their thinking beyond the accepted norm. Many years ago he had warned me that everything he had taught us would be quickly forgotten if we did not maintain our connection to source energy. This was exactly the position I found myself in – somehow I had allowed life to pull me away from what I knew to be true and my whole being was beginning to suffer the consequences. Everything can be seen as a lesson and fortunately I was not too far gone to have lost sight of the path completely. With new energy and a purpose born out of my diminishing years I refocussed my attention on establishing my connection with source energy and the healing that process brings. This site is very much a ‘work in progress’ and charts the modalities I have used on this journey back to health and well-being. 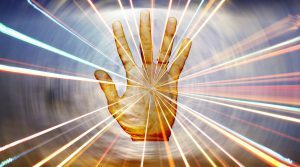 You will find information on Tai Chi and Chi Kung; Reiki and Energy Healing; Acupressure and Acupuncture; as well as the incredibly powerful Emotional Freedom Technique (EFT). This latter modality seems to combine the very best of both Eastern healing techniques and Western psychology – no one quite knows exactly how it works, it just does! Modern quantum physicists and spiritual masters from all ages seem to agree on a very similar concept – that we are made of and live within a limitless sea of energy. Our natural state is one of connectivity and flow with this energy, something that was recognised in most traditional cultures. As I’ve already indicated, our modern fast-paced lifestyle and ‘scientific’ world view have led to a severing of that connection. We are brainwashed into thinking that such ideas are nothing more than fantasy and wishful thinking. Like a child who suddenly realises that Father Christmas and the Tooth Fairy aren’t real, we are ‘encouraged’ to leave these primitive beliefs behind, as though we have evolved beyond such nonsense! This disconnect causes us to suffer massively. Whether through physical ailments or illnesses, mental struggles, or the spiritual emptiness that so many feel, we are plagued by ‘dis-ease’. Maybe if we keep busy enough we won’t notice though, so we fill our time with a series of relatively meaningless activities that distract us from our discomfort, becoming ‘human doings’ rather than ‘human beings’. Does this sound familiar? 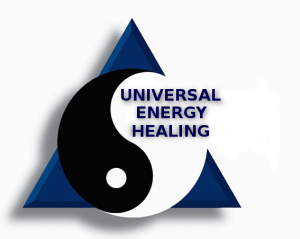 The healing modalities I have mentioned seek to reverse this thinking and reconnect our nature with its source, what I refer to as Universal Energy. This philosophy is based on a holistic understanding of what it means to be truly human. In this, the physical, mental and spiritual aspects of our existence are seen as interdependent – what affects one cascades throughout the total system causing a breakdown at many different levels. It may be difficult for us to comprehend that a breakdown in our physical health may be as a result of something going on mentally (or even spiritually). Conventional Western medicine often ‘fails’ because it treats the symptoms without addressing the root cause, which may lie outside the body itself. This is further exacerbated when we consider that we also exist in relation to a much greater whole; to nature and to the source of life itself. The reason why people are often so unhappy and dissatisfied is because they feel disconnected, disjointed, and out of touch with this feeling of oneness. So, how do these various healing protocols work to promote a return to health? Firstly, they all work with Universal Energy. Variously called chi, ki, prana or spirit this is the essence of all creation. When it flows freely through us we are healthy, when it is blocked or stagnated we are fatigued, stressed or just plain sick. Working with this energy helps us to re-establish our connection with the source of all and enables us to return to a more natural and balanced way of living. Secondly, the different healing protocols are all holistic in nature, treating the whole person rather than individual symptoms. A bit like hitting the reboot button on a sluggish computer, a clean operating system allows all programmes to work to their optimum level. So it is with our bodies; reconnecting to the source effectively reboots the system at all levels, physically, mentally and spiritually. I believe there is a bigger game at play too as illustrated by this teaching story……. A top executive was working from home one evening on an important presentation that she was due to make the next morning. Her 7 year old son wanted attention and was continually interrupting her focus with requests to be entertained. 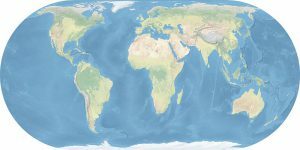 Becoming increasingly agitated the woman found a map of the world in a magazine she had on her desk. Carefully tearing up the map into many small pieces she gave it to her son saying, ‘See if you can put all the pieces together darling and bring it back to me when you’re done’. The young boy was excited by the challenge and settled quietly on the task. The woman gave a silent sigh of relief as she returned to her work. If people are ‘right’ then both their immediate world and the world in general will also be right. The most powerful thing any of us can do to heal the world is to heal ourselves first. Broken people cannot heal the world’s wounds! One of the reasons why Tai Chi, Chi Kung, EFT and Reiki are such powerful disciplines is that they give us time to actually work on ourselves in a way that the world does not normally allow. 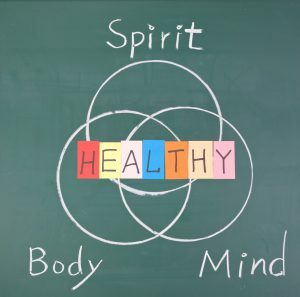 With just a little commitment it is possible to transform every aspect of our being, improving physical health, mental well-being and giving a sense of spiritual connectedness to life. Healing then, is not something anyone can provide as an outside agent. There is a saying I like that runs ‘If it’s to be, it’s up to me’. We all have it in our power to heal ourselves at the deepest of levels. The information presented on this site will help you to remember how to do this, so that your natural operating system can take over and restore health and well-being. It is up to you to follow the process and do the work though! The process is everything. That is where the magic happens. My sincere hope is that you find within these pages the key that unlocks your own healing and complete the personal journey that you are on to health and well-being.